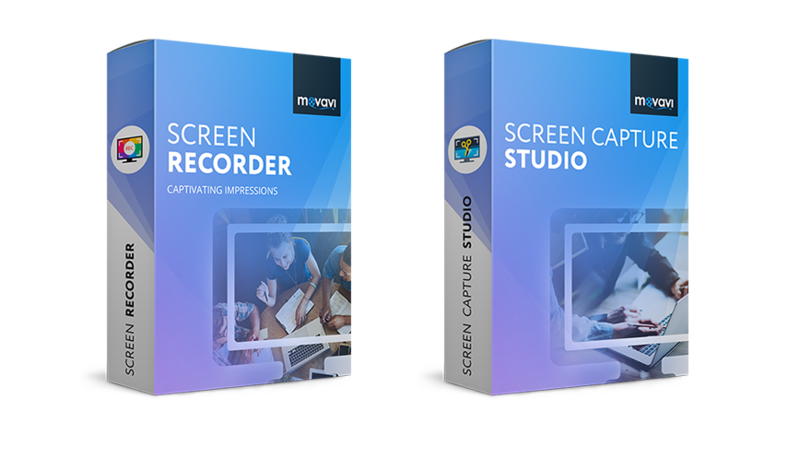 With Movavi screen capture software, there’s no need to wait hours for the program to finish saving your recordings! 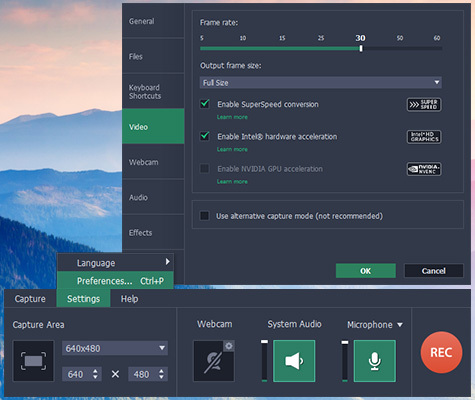 Movavi’s revolutionary SuperSpeed mode lets you save your screencasts as quickly as copying a file from one folder to another – on Windows or Mac! Take a look at the comparison below between saving speeds with SuperSpeed on and off. Saving 1920х1080 1 min video to MKV, MOV, and FLV formats (top-bottom). Computer specifications: OS Windows 7 Professional 64-bit, Service Pack 1; Intel® Core™ i5-3550 3.30 GHz processor, 4 GB RAM DDR3; Intel® HD Graphics video adapter; 250 GB SSD. Tests carried out by Movavi. 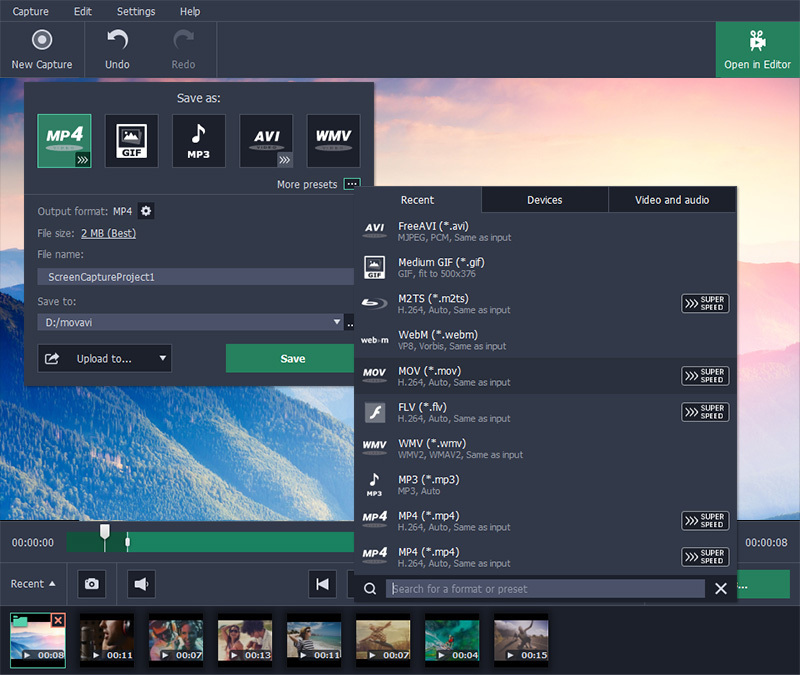 Saving 1280х720 1 min video to MKV, MOV, and FLV formats (top-bottom). Computer specifications: MacBook Air OS X 10.10; Intel® Core™ i5 1.4 GHz processor, 4 GB RAM DDR3; Intel® HD 5000 Graphics video adapter – 1536 MB; Apple SSD SD0128F. Tests carried out by Movavi. This type of video processing is often called remultiplexing, or remuxing, and it means that you are simply moving the video stream to your chosen format without re-compressing it. 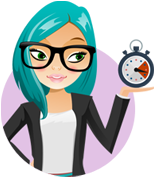 The process is almost instantaneous and doesn’t affect the quality of the video, since it changes only the format of the file, not its contents. 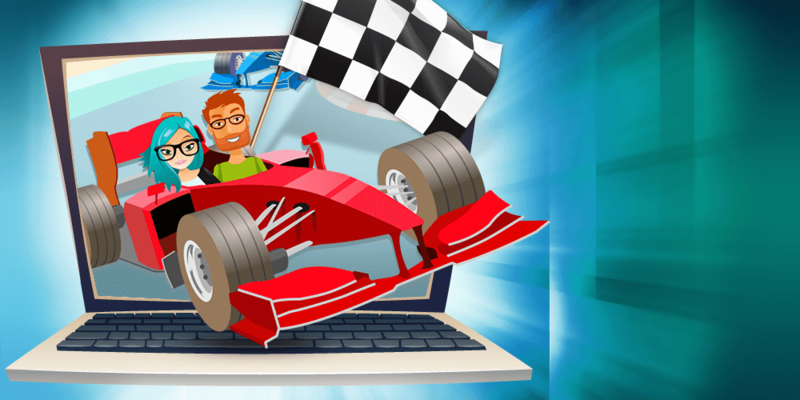 When Can I Use SuperSpeed Mode? Compatible formats: AVI, FLV, M2TS, MKV, MOV, MP4. Compatible mobile presets: iPad 3 and iPad 4; iPhone 5S, iPhone 5C, iPhone 5, iPhone 4, and iPhone 4S; Kindle Fire HDX, Kindle Fire HD 8.9'', Kindle Fire HD 7'', and Kindle Fire Tablet; Google Nexus 4, Google Nexus 7, and Google Nexus 10. 2. 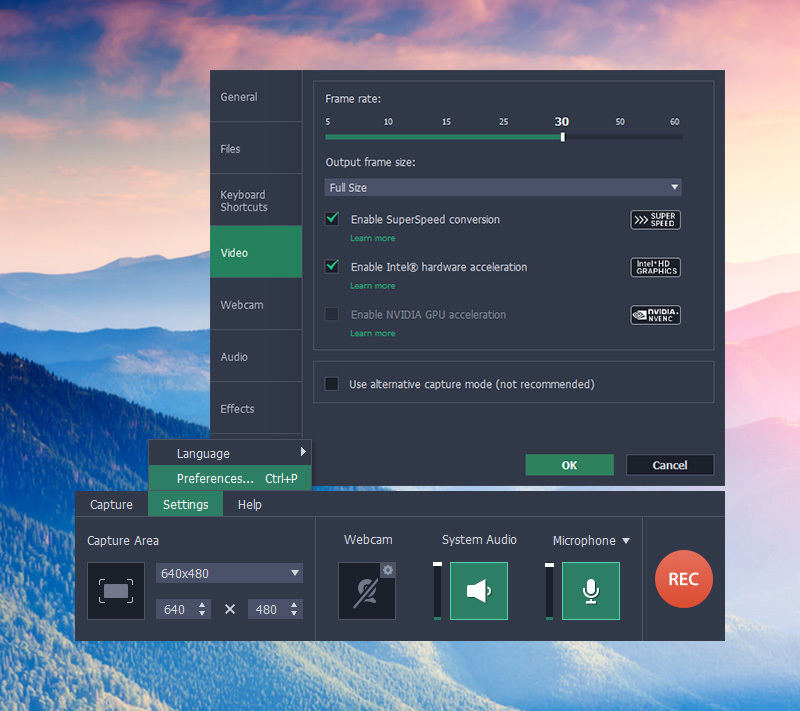 You don’t make any changes to the settings for the selected preset (bitrate, frame rate, size, resolution, or other parameters). After you’ve finished capturing your screen, you can choose an output preset in the export window. All presets that support SuperSpeed mode are tagged with a SuperSpeed label. SuperSpeed saving is enabled by default; you can check that it’s activated in the program settings, as shown in the illustration below. Disable SuperSpeed here if you don’t want to use it.